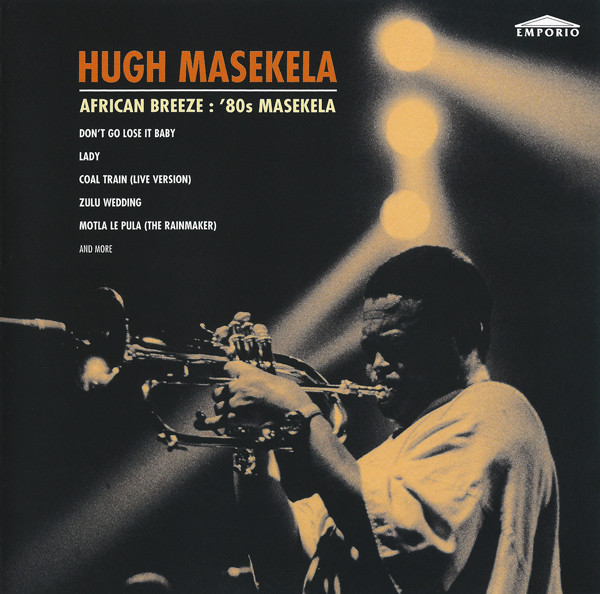 This is an excellent compilation of totally infectious music from the legendary South African trumpeter Hugh Masekela, well known for his work with Paul Simon and his championing of many human rights causes. He was known as "the father of South African jazz" and most of his material in the 1980s was delivered from a rhythmic jazz perspective, as opposed to say "Graceland"-style South African "township jive", although this does appear on this album in places. A fine example of this modern jazzy feel is "African Breeze", which blends Masekela's sumptuous trumpet with some pounding tribal drums and some infectious jazz guitar, backed by swathes of eighties keyboards. "Zulu Wedding" is a delicious laid-back celebration, with more great trumpet and some typical Zulu "ululating" high-pitched female backing vocals. As with all the tracks on the album, it features a top notch trumpet solo. "The Seven Riffs Of Africa - The Lion Never Sleeps" gives us some classic township jive - all lilting guitars, shuffling beat, killer trumpet and addictive backing vocals. The track goes on for twelve minutes and the good-time groove never lets up. "Lady" is a slice of eighties-style jazzy groove lifted above the synthesised backing by Masekela's superb trumpet and the deep West African funk-style vocals. "The Rainmaker" features one of those totally infectious township bass lines, a pounding drum beat, uplifting backing vocals. This one is very much the sound of Soweto. "Don't Go Lose It Baby" is a powerful, largely instrumental, very danceable funky groove. The highlight of the album is "Coal Train" which tells of the migrant miners and the harsh life they lead below ground in the gold mines of Johannesburg. It is a slow burning, soulful number with evocative vocals and, of course, superb trumpet. If you can get hold of this album, it is highly enjoyable and recommended.